A remarkable run at the Pacific International Cup came to a bittersweet end for a local men’s curling rink last Sunday. Tyler Williams’ rink of third Richard Weihers, second Scott Williamson, and lead Bob Walker picked up a silver medal at the Pacific International Cup last Sunday, dropping the final 6-3 to a team from Illinois. Illinois went up 4-0 in the second end and then turned to a defensive hitting style of play, preventing the Yukon from climbing back into the eight-end contest. The game was the final of the international pool, and Illinois went on to drop the tournament final in an extra end to the B.C. pool winner from Chilliwack, who will go on to represent the province at the Travelers Curling Club Championships. Led by their fearless skipper, the rink put together the finest run for a team from the territory in 16 years. The best Yukon showing prior to this year’s performance was bronze. The team went 6-1 in pool play last week, losing only to Arizona. The result put the team in first and earned them a berth in the international final. “We made a lot of shots and we finished games well,” Williams said of his team’s success. The team spent plenty of time discussing the ice and stones, both of which differed greatly from the world class ice in the Yukon capital. The event marked the first time the 28-year-old Williams played outside of his home club. The Yukon was also represented on the women’s circuit by Laura Eby’s rink, which went 1-6, the lone win coming over Colorado. Eby was joined by third Lorna Spenner, second Janine Peters and lead Deb Enoch. 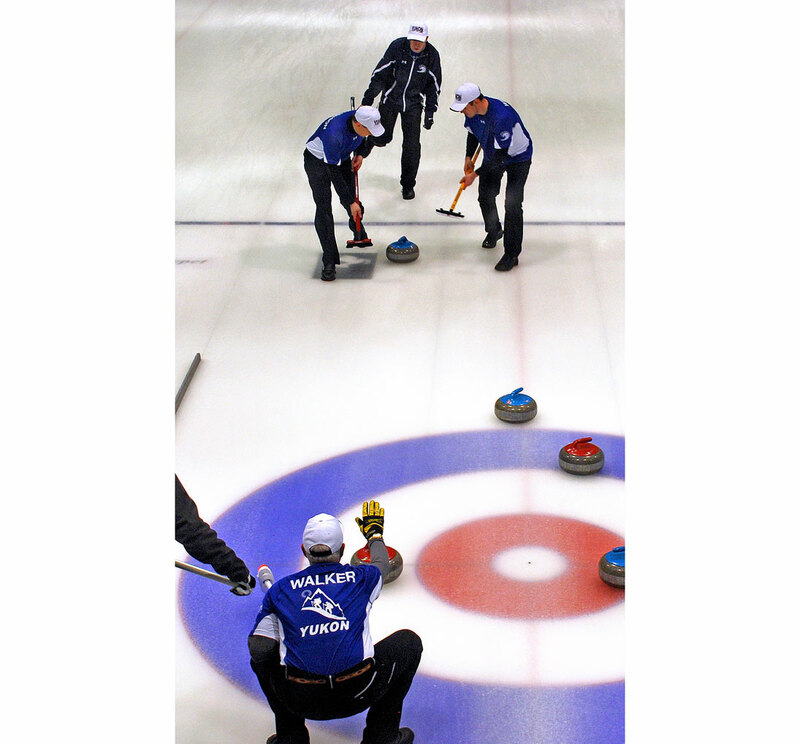 The team found their game later in the week, and took Michigan to extra ends and lost to California thanks in large part to a final stone that picked. Williams said his rink played in the Sportsman and International bonspiels in Whitehorse to prepare for the Pacific International Cup. NOTES: Williams was honoured with a sportsmanship award, courtesy of the Yukon Curling Association earlier this month. The award was voted on by his peers. ... Doug Gee took home the Bert Boyd Memorial Trophy for his exemplary service maintaining the highly-regarded ice surface at the Whitehorse Curling Club.